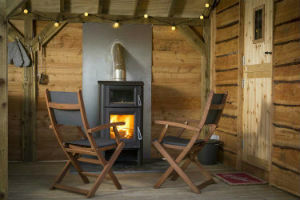 Little Country Houses in The Cotswolds offer a truly amazing glamping experience with a few added luxuries. 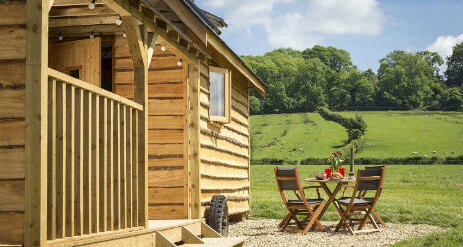 Our two little wooden houses, which have been hand crafted, are located just outside of the North Cotswolds pretty village of Mickleton where there are a couple of pubs, a hotel, village shop, post office, greengrocers, butchers all within a 10 minute walk. Mickleton is also home to the World famous Pudding Club which is again only a 10 minute walk away. Just two and a half miles away is the beautiful wool town of Chipping Campden and Broadway and Stratford Upon Avon are also both within easy reach. 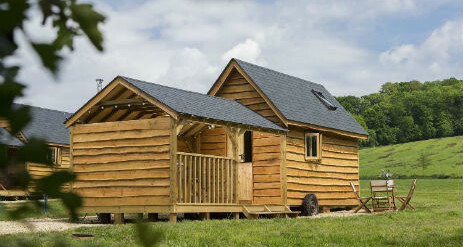 Little Country Houses is a family run business driven from our passion for the outdoors. 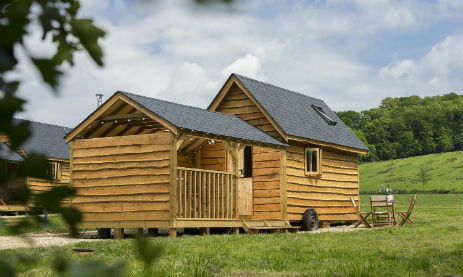 Having run a small campsite for a number of years we decided to expand and add little houses so that more people could experience our fantastic setting. 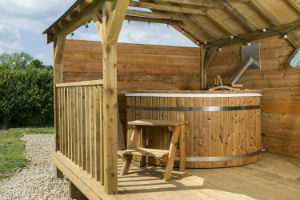 We are also a working farm and run a boarding kennel and cattery business, Longhills Farm Boarding Kennels, so if you are wishing to bring your dog you would be more than welcome to book them into the kennels for the duration of your stay. Although do pre-book as we do get quite busy! The houses are a sufficient distance from the kennels so they are not intrusive! 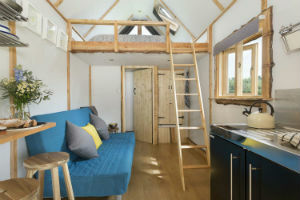 Our luxurious hand built micro houses provide the added touches to give you with a truly amazing glamping experience! 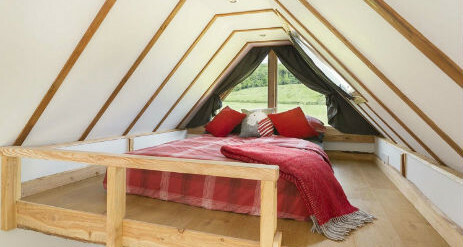 The little houses have a comfy double sleeping loft with a stunning aspect window with views of the hill and woods behind. Downstairs you will find a micro-kitchen with double hob, cold water tap, fridge and the essential freezer box. 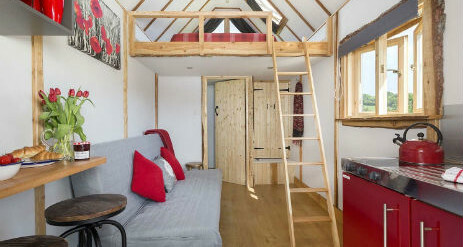 There is an eco toilet located within the house and a comfy sofa bed which will sleep an additional 2 children or adults. 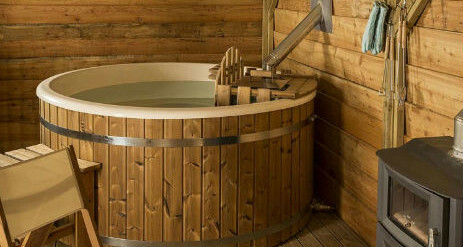 The real treat is the large wood fired hot tub, outside under our covered decks. 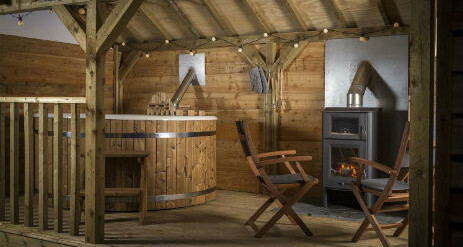 Paired with this there is a cosy wood burner with grill and oven enabling you to cook a sumptuous supper before chilling around the fire with a cold beer or two! 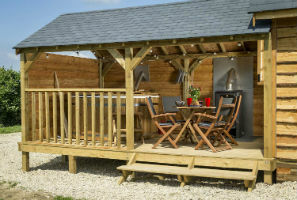 Our two little houses Daisy’s Den and Poppy’s Pad are located at the end of the small touring campsite within their own fenced areas providing privacy for our guests. 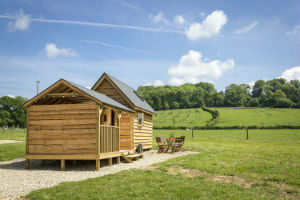 The units will comfortably sleep 4 however are perfect for those looking for a romantic escape with a difference. 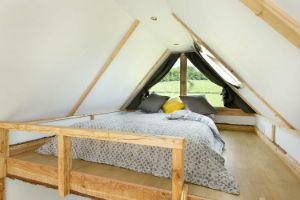 Double mattress in the sleeping loft to enable you to have a cosy and comfortable night watching the stars from the beautiful aspect window as you drift off to sleep! Eco toilet within cottage so you don’t have to dash outside in the middle of the night! There are numerous tourist activities in and around the Cotswolds and the list below is a small sample to give you a flavour for the wide range of attractions and activities that are available. WALKING: Most people who visit the Cotswolds do some walking, even if it is just a stroll to the village pub! The area contains some of England’s most beautiful countryside and there are over 3,000 miles of public footpaths, The renowned Cotswold Way starts at Chipping Campden approximately 2 miles from the cottages. CYCLING: The Cotswolds is criss-crossed with quiet country roads and lanes, as well as more challenging mountain biking terrain, making it perfect for all types of cycling. Chipping Campden cycle hire hire bikes.